The nurse-led team based within Borders Macmillan Centre provide excellent care but there are a number of challenges facing cancer treatment that have caused them to look at how changing the ward environment could help them deliver that care, while also enhancing the overall experience for cancer patients in the Scottish Borders. Increased demand: SACT treatments alone have increased 35% since 2014 and are expected to continue to increase at a rate of 8% per annum. how will this work help? It will enhance the overall environment throughout the centre. NHS Borders Cancer team have been working in partnership with Macmillan Cancer Support to develop these plans to ensure they will meed the identified needs of the service while also keeping patients at the heart of this project. It will cost in the region of £830,000 to realise these plans and Macmillan Cancer Support have kindly contributed half of the money required, the other half will come from The Difference. 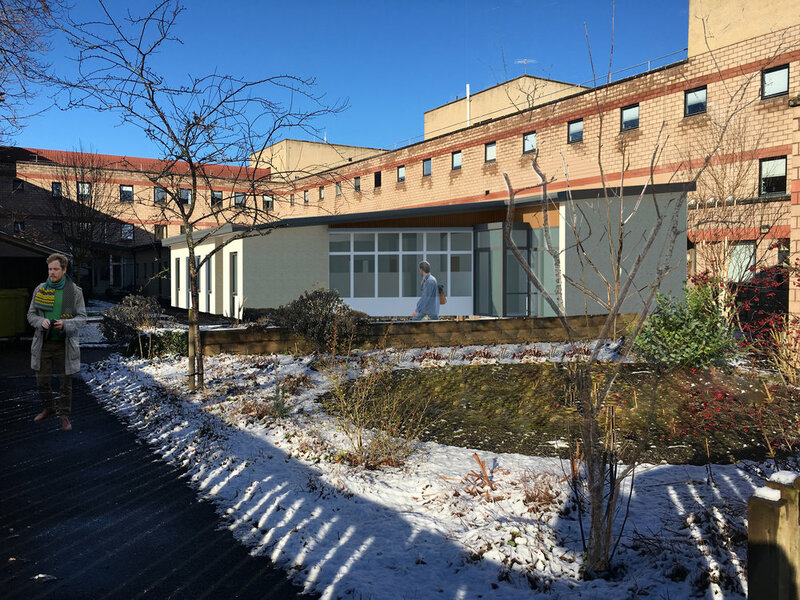 Thanks to the generous support in the past, the existing endowment fund for the cancer centre is able to make a significant contribution towards this total but the remainder will be raised by way of a public fundraising appeal.